Good. 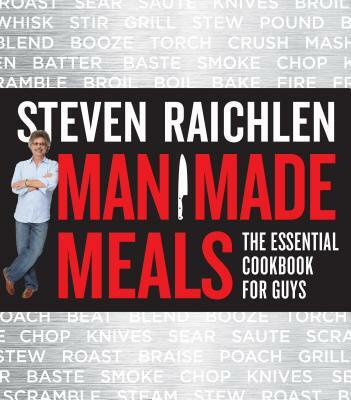 Man Made Meals by Steven Raichlen, 2014-05-09. Trade paperback (US). Glued binding. 631 p. Contains: Illustrations, color. Good. [ No Hassle 30 Day Returns ] [ Edition: reprint ] Publisher: Workman Publishing Company Pub Date: 5/6/2014 Binding: Paperback Pages: 640. Very Good. 0761166440 Ships promptly from Texas.